We have a caring and dedicated staff who use their many gifts to serve our congregation. I grew up traveling around Alabama as my dad climbed the corporate ladder at Alabama Power Company. Throughout my youth we found a Presbyterian church that welcomed us and helped us create a community that we could connect to until our next move. In Birmingham during my middle and high school years, our community was Southminster Presbyterian Church. It was there that I began to sense that church was more than just community; it was also very much a family that cared for you, and helped you to discern God’s call on your life. I participated in a great youth group, and found a place to serve the church on the Presbytery’s youth council. I attended the University of Alabama, and majored in history, with a minor in marketing. While in Tuscaloosa I met my wife Joan. We have been married for twenty-six years, and have two amazing daughters, Sarah Dianne and Catherine. We began a our life together working in the church in Tuscaloosa and soon moved to Richmond, Virginia, where I attended Union Theological Seminary, and received a Masters of Divinity. My first call post seminary was to Spring Hill Presbyterian Church in Mobile, Alabama. There I served as an Associate Pastor for Senior High Youth, Mission, and Evangelism. 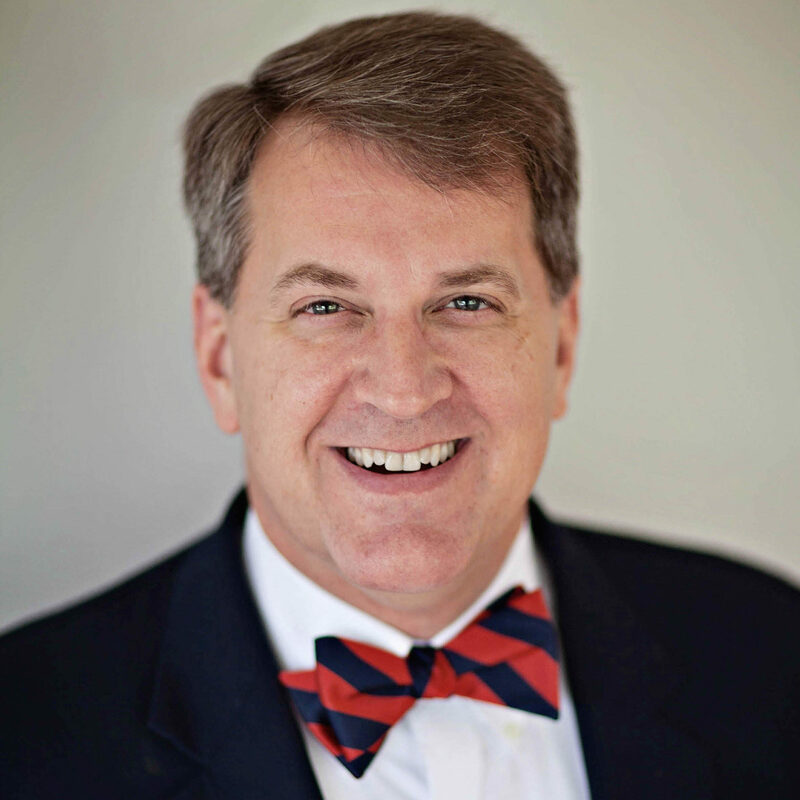 After three and half years in Mobile, I was called as Pastor of the Huffman Presbyterian Church in Birmingham. For the next fourteen years God did some amazing things in that place. For the next five years, I was called to First Presbyterian Church of Jonesboro, Arkansas, where I was privileged to work with a conflicted congregation that wanted to find meaning in ministry again. While in Jonesboro I served for five years on the Committee on Ministry for the Presbytery of Arkansas, and I also earned my Doctor of Ministry degree from McCormick Theological Seminary in Chicago, Illinois. Prior to this June 2017 call to Fountain Inn, I spent a year working with the First Presbyterian Church of Cartersville, Georgia. Tracy Ricard grew up in Lexington, SC, where he began playing the violin when he was 5 and has been playing some musical instrument ever since—he has been a church organist or pianist since he was 15! Tracy attended the Governor’s School of Arts for music and subsequently graduated in 1994 with a BA in music from Anderson University. Tracy and his wife Donna have two children, and he works as a mortgage loan officer during the week. 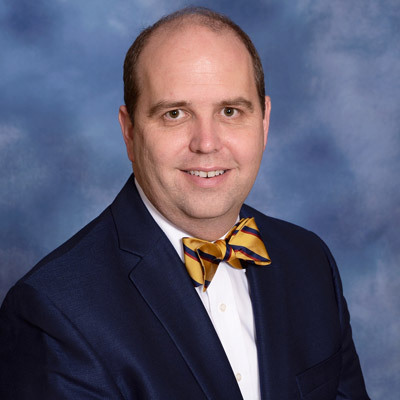 He became the organist at Fountain Inn Presbyterian Church in 1998. Tracy enjoys working outside, traveling, and planning special events for others. Shannon O’Shields Weinel was born and raised in the Upstate in Greenville, Mauldin, and Simpsonville. 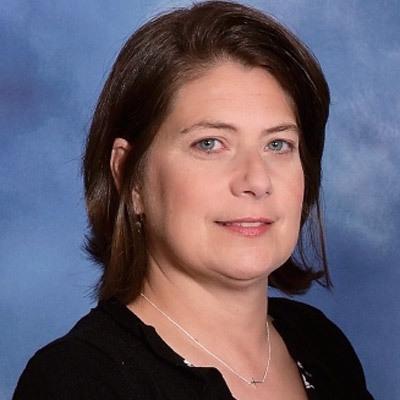 She was baptized at Tryon Presbyterian Church, grew up at Grace Covenant Presbyterian Church in Mauldin, and was married in the new church development of Foothills Presbytery, Pilgrim Oaks, where she and her husband Ken were involved. Gail Thomason moved to Greenville, South Carolina, from North Carolina in January, 1953. She worked for Ford Motor Credit Company in automotive finance for most of her career. Then, in 2010, she became the Administrative Assistant at First Presbyterian Church of Simpsonville. 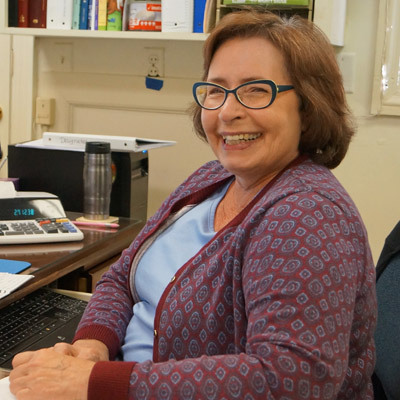 Gail started at Fountain Inn Presbyterian Church as the church secretary in 2015. Gail has two children and two grandchildren, all of whom live out of state. She is a Master Gardener and loves to travel. Gail loves her job because she feels she can be helpful, caring, and can make a difference in a positive way in the life of the church.